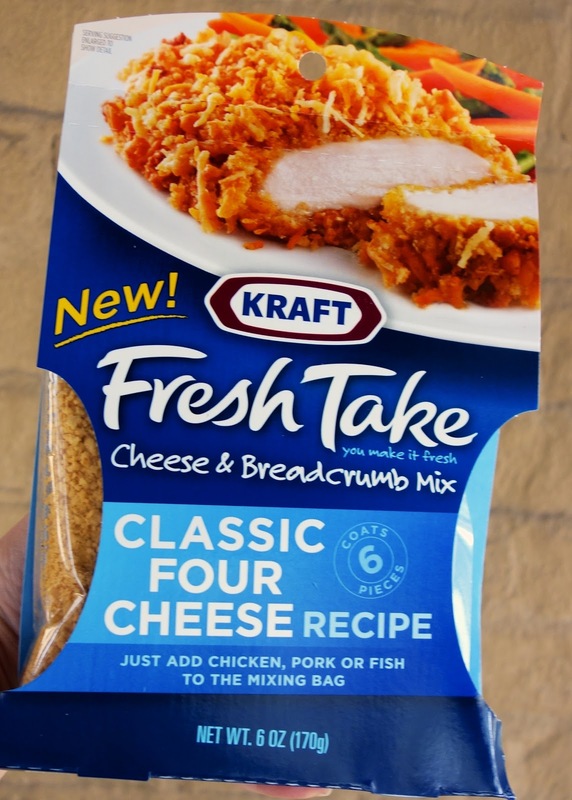 It is time for my second challenge in the Kraft Fresh Take Flavor Makers program. 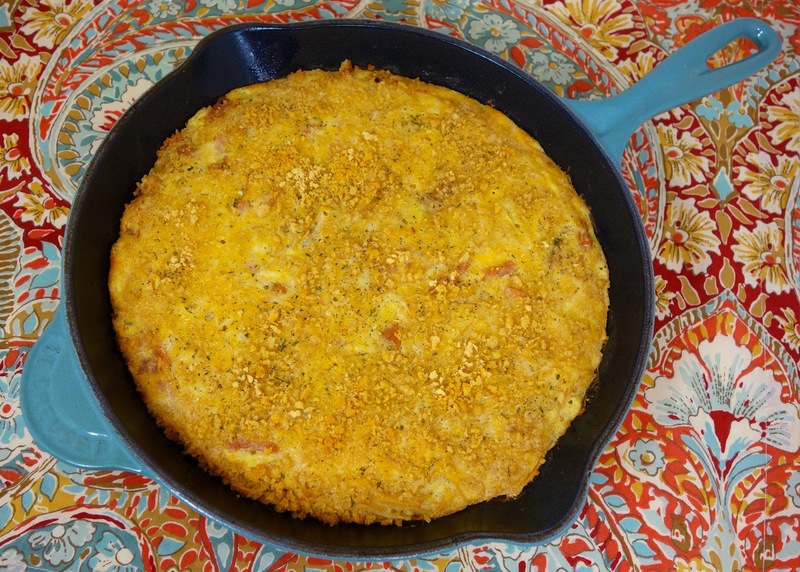 This time I was challenged to incorporate whole wheat into the recipe and make something in the skillet that could be eaten at breakfast, lunch or dinner. 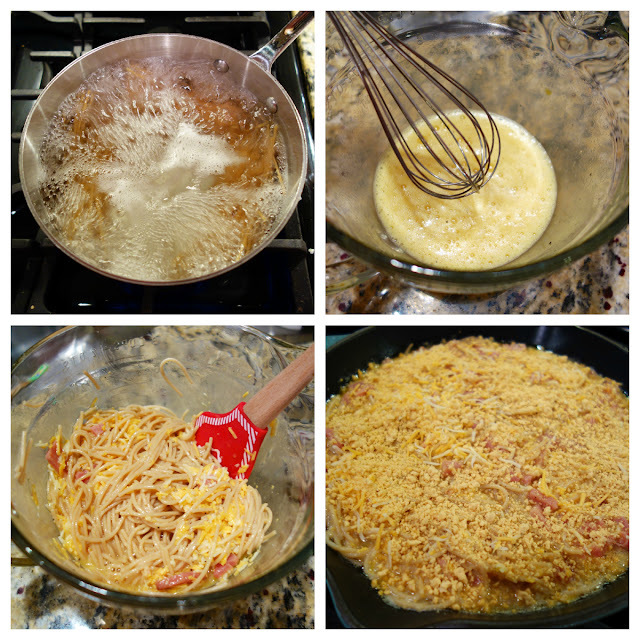 I initially thought of a skillet pizza, but I eventually settled on this Ham and Cheese Pasta Frittata. We eat a lot of quiche for dinner, but I rarely make a frittata. To incorporate the whole wheat into the dish, I used some whole wheat pasta. The Classic Four Cheese Fresh Take made this dish super easy. I didn't have to measure the cheese or breadcrumbs! 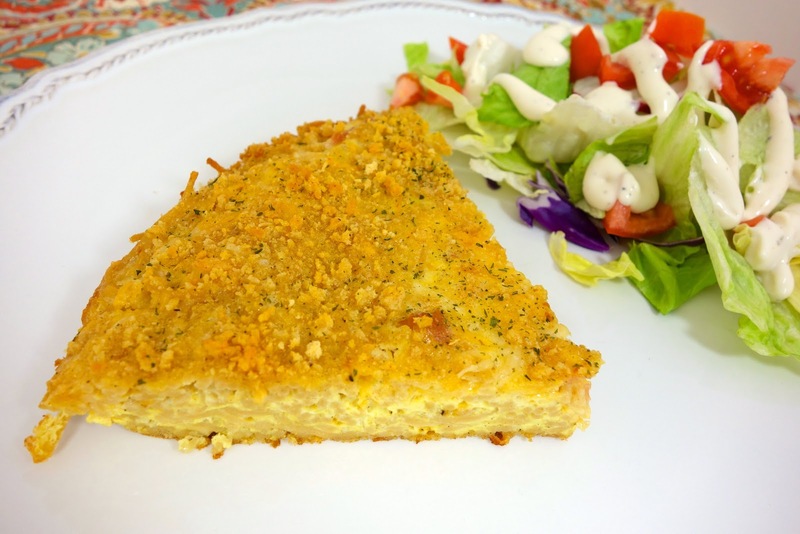 The frittata cooks for 10 minutes on the stove and is finished off in the oven. This only took about 30 minutes from start to finish. Waiting for the water to boil was the hardest part of the whole recipe. (you can save time and use leftover pasta) We were both super impressed with this dish. It had great flavor and was so simple to make. Cook pasta according to package directions. Drain and toss with 2 Tbsp of butter. Whisk together eggs, milk, mustard, salt and pepper. Stir in ham, cheese and pasta. In a large oven safe non-stick skillet, melt 2 Tbsp butter. Sprinkle half of the bread crumbs in the pan. Pour egg mixture in skillet. Top egg mixture with remaining bread crumbs. Reduce heat to low. Cook undisturbed for 10 minutes. Transfer skillet to the oven and cook 10 more minutes. The noodles in there makes me really crave this. It reminds me of a spaghetti salad my mom used to make, but baked into a pie! Yum, this looks delicious. I love the idea of coating chicken with the Classic Four Cheese, popping it in the oven, and having dinner done. Sounds so yummy. I don't have an oven safe skillet to my knowledge...could I just transfer it into a cake pan or a pie plate or something similar? Thank you so much for sharing this, it ended up being my savior today I am trying to clear out my freezer and I had some ham I pulled out, with no real plan for it. So I googled and found you and I had all the ingreds. Only difference is I used the new spicy chipotle cheddar Kraft pack. My husband and son both loved it! So thank again, this is a keeper for sure.